The Bible tells one story. It’s about how a Holy God deals with a sinful, fallen and broken people. At the center of that story is Jesus. Fellowship was broken in the Garden of Eden but God didn’t really go anywhere. The story of “God with us” doesn’t begin and end in the Gospels. GOD IS NEAR is his promise to his people, and it’s found in every book of the Bible. There should not be a disconnect between the Old Testament and the New. The Father, Son and Holy Spirit are actually at work throughout. Sometimes we need to step back and look at the big picture. 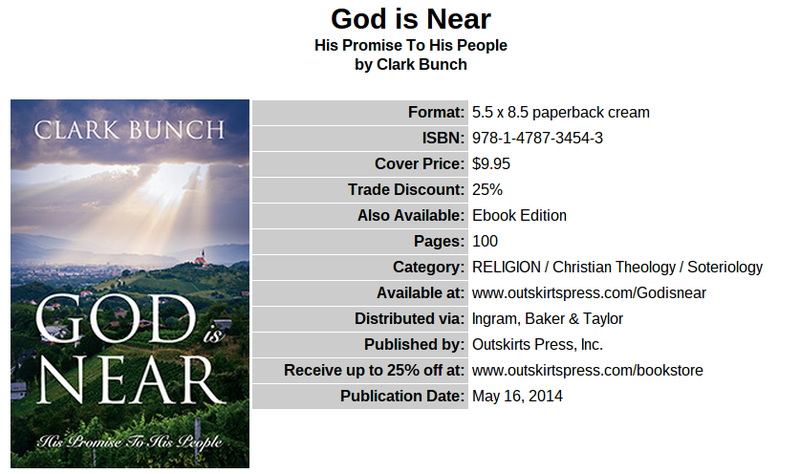 A new author arrives on the scene with straight biblical truth: God Is Near! God is near (and) that He always has been … Inspiring book!